Deepawali or Diwali is the biggest and the brightest of all Hindu festivals. It is the festival of lights: deep means "light" and avali "a row" to become "a row of lights." Diwali is marked by four days of celebration, which literally illuminates the country with its brilliance and dazzles people with its joy. This Laxmi and Chopda (accounting books) Puja is a ceremony to cleanse around you and pray for a new beginning of the year with a clean fresh start and for the year to bring us success and wealth. 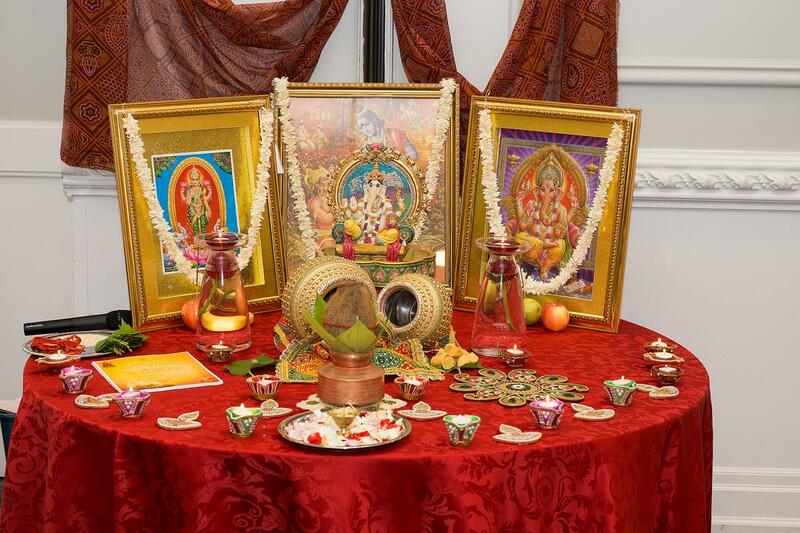 The Puja (prayers - also spelt Pooja) can be done by everyone, including business owners, families, employees and students. The term "chopda" comes from In the olden days, when business accounts were written in "books" (not using computer software). You will need the list of items found at the end of this article to conduct the puja, and instead of bringing a computer, you can still bring a book to write the prayers on. We therefore warmly welcome everyone to participate in the Chopda Puja we hold every year, and have your New Year begin with blessings and continued success in a colorful way! You will be able to find most, if not all, of these items are your local Indian grocery store.